Disneyland IS the Happiest Place on Earth ™. And it’s not just for kids. In fact, it’s one place where you can totally act like a kid and everyone around you understands! Most likely they will smile at your crazy antics, and possibly even join in on the fun. 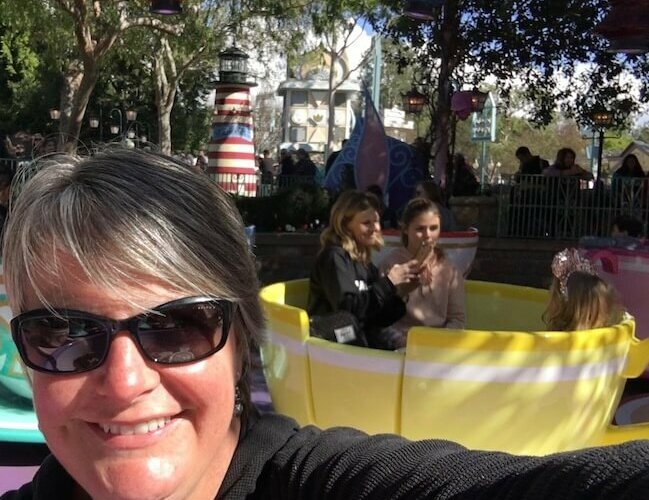 I’ve been to Disneyland now three times and only one of those times visits was I with my child. I visited my first time at 18 and again when I was 48. I had a great time every single time. NOTE: Affiliate links were used in this post. I do not promote any brand I have not used or experienced myself or had recommended highly to me. All opinions are my own. Please follow our advice at your own risk. By clicking these links allows the Travel Far Enough website to continue running. For that, I thank you. 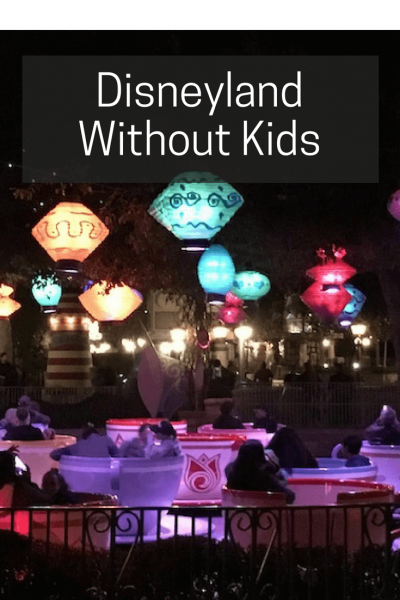 I’m sharing my best tips on how to visit Disneyland as an adult. 1. 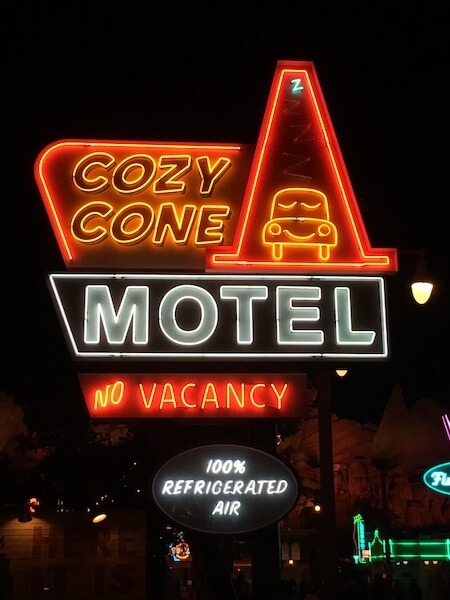 Stay at an onsite Disneyland Resort. Gain early entry into the park when you purchase a package (with park tickets), with the Extra Magic Hour Early Admission. This allows you to hit the cool rides first with smaller lines. You can walk back to the hotel for breaks during the day. It’s less distance to go when you’re truly exhausted and feet sore from your amazing day. You can send any shopping you do at the park back to your hotel. Join in on the Character breakfasts if you choose to go completely cheesy. By buying packages that include park passes and hotel, you also get free lanyards, special edition pins and sometimes luggage tags. (or badges). You can also get 10% off at participating dining and merchandise locations throughout the Downtown Disney District. 2. When to Visit Disneyland. It may sound obvious, but don’t visit Disneyland during the summer and certainly not during school breaks. 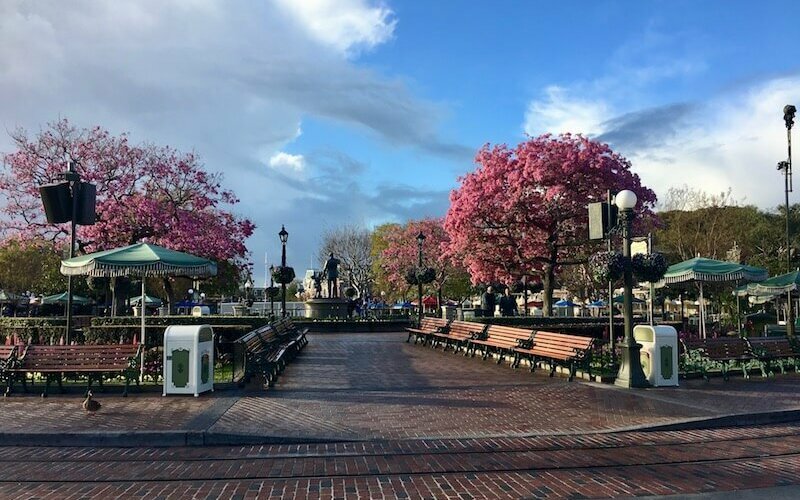 Check out a few of the various U.S. State’s school calendars and you’ll see they are generally around the same time, so plan your Disneyland adult adventure when school is in session. 3. Have fun on the kid’s rides! If you’re looking at the Railway and thinking ‘lame’ or that it’s ‘just a mode of transport’ to get around Disneyland, consider talking to the conductor before boarding and they may let you ride up front. There’s a whole lot to know about this railroad than meets the eye. The kiddie rides should not be overlooked. Some have really cool graphics or just take you right back to your childhood. Some are even scary! Cars @ California Adventure.Zoom Zoom! It’s a Small World in Fantasyland in Disneyland. Yes, the song will be in your head, but it’s a great reminder that the world is a small place and we should all join hands and sing! King Arthur’s Carousel in Fantasyland in Disneyland. When was the last time you rode a carousel ride?! 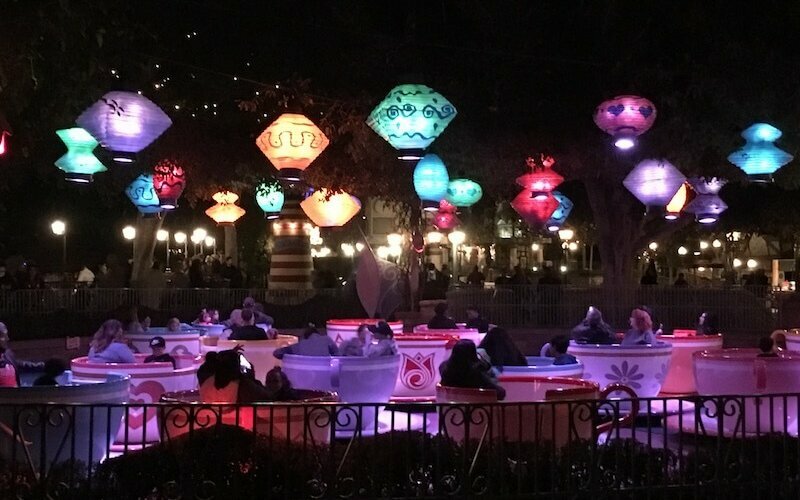 The Mad Tea Party aka The Tea Cups, in Disneyland.I LOVE this ride! It’s a no-brainer and my tip is riding it on your own if your friends are too scared they’ll puke! Rumour is the purple teacup and the orange teacup with diamond shapes on it are the fastest spinners on the ride. Mike and Sully in Disneyland. Just seeing the doors above as you ride this one from the Monsters Inc. ride is worth it! 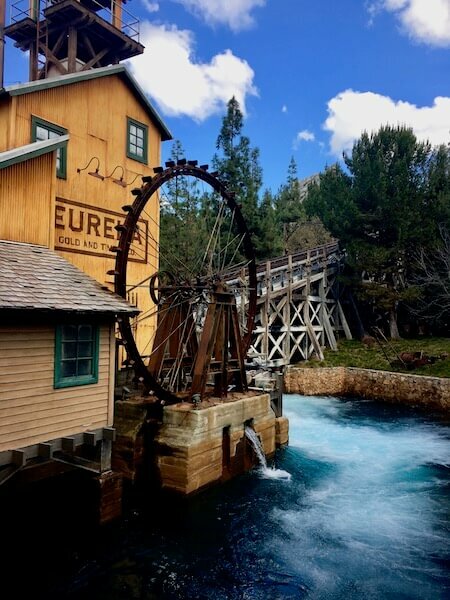 Grizzly River Run at California Adventure – so much fun to twirl and spill in the water! Alice in Wonderland – the end of this ride surprised me. Ride it and tell me what you think of the ending. 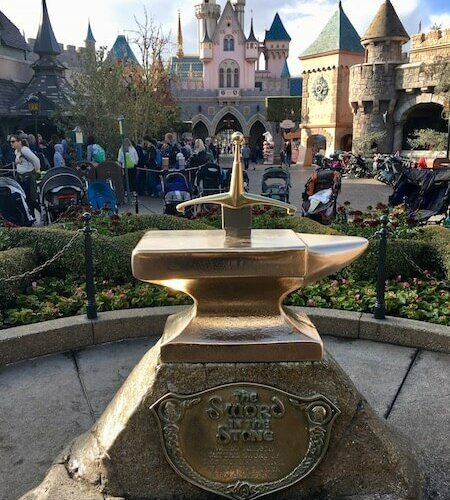 Toad’s Wild Ride is in Fantasyland – this one is another that is surprising. It seems like a sweet ride, but Mr. Toad gets hit by a train and stuff is blown up… it’s a bit much for little kids, but worth it for adults. 4. Foods You Should Indulge in While at Disneyland and California Adventure. If you’re a coffee snob like me, a good coffee is hard to come by in America, let alone a theme park, but it seems as if Disneyland as clued into the caffeine addict needs. If you like drip coffee, Flo’s V8 Café in California Adventure has coffee strong enough to get your motor running. If you’re looking something along the lines of a good latte (yes please! ), then check out the Jolly Holiday Bakery just off of Main Street in Disneyland. I really wasn’t aware of this phenomenon before going to Disneyland, but when the weather is warm, this truly is an indulgence you need to drop some coin on. The Pineapple Whip is amazing. 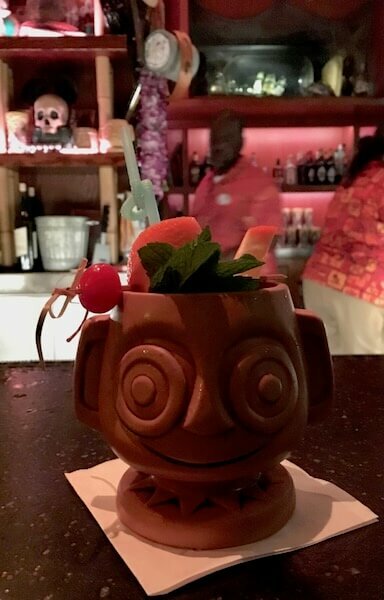 You can find them all over the park, but the most authentic experience is at the Tiki Juice Bar in Adventureland, Disneyland. A sweet indulgence after a yummy Mexican lunch at Rancho del Zocalo Restaurante in the Disneyland Park. To be honest, the food is okay for theme park Mexican food, but where they get you are the Cinnamon Crisps. You won’t stop at one. Trust me. Tucked into California Adventure ‘food court’ area, is the Lucky Fortune Cookery. Their rice bowls are amazing – super tasty and (shock horror!) healthy! Alfresco Tasting Terrace – located upstairs in the Calfornia Adventure Park. This lovely terrace is out of the way of the crowds and overlooks Radiator Springs. Relax over a glass or bottle of Disney Family Wines (winemakers with a Disney History in some way… Kurt Russell’s wine is on the list). You can even get a flight of wines to taste, either on your own or as a group. Bayside Brew – Choose from 6 craft beers available on tap with a delicious pretzel. A nice way to chill a while, when exploring the parks! Carthay Circle Restaurant – this is the place you want to go for an end of day drink or a lovely dinner to celebrate your holiday. It is a Golden-Era movie palace. There is a definite retro feel about being here and you half expect a movie star, draped in all their 1930s finery to come floating out from beyond. For after park hours, check out the Disneyland Hotel’s Trader Sam Enchanted Tiki Bar. This place is an experience in itself, with drinks set on fire, audience participation, and secret bar happenings when drinks are served. It’s magical – even without the alcoholic temptations. I’m frugal. That doesn’t change when it comes to Disneyland. Don’t blow your budget just getting into Disneyland! A Disneyland Pass gets you into both Disneyland and California Adventure. The rides are then included in the price of your ticket. 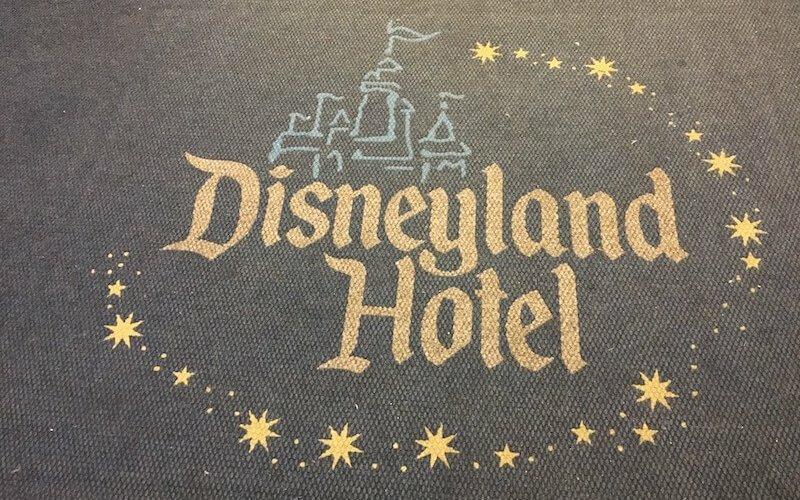 You can buy discounted tickets for Disneyland and California Adventure, even the Disney hotels through a wholesale company called Undercover Tourist. They are a reputable company that “Disneyheads” (better known as Disney Fanatics), LOVE to use. 6. Need a Ride from the Airport? With a Park Hopper pass. You can switch between Disneyland and California Adventure as much as you like. That means, start your morning in Disneyland and finishing the day in California Adventure or vice versa. Or, going back and forth between the parks to catch your favourite rides! Go into the park as soon as you arrive and then shut it down on the first night. You’re already high on adrenaline from being at Disneyland, so make the most of it! When you buy a multi-day pass, you still have more days to enjoy the park at your own leisure. You can get a Fast Pass for rides–these are available at machines near these popular rides and it will give you a time to return. When that time is available you join the ‘Fast Pass’ queue. Yes, there’s still a line, especially for the longer rides, but it’s shorter than the regular queue. Take advantage of the Single Rider Lines. Even if you are having the Disney Adventure with another person, you can get on the ride faster in this queue and when it’s a single line ride, it won’t matter if you’re together or not. It’s an individual experience anyway. Heard of Disneyland After Dark? Throughout the year, Disneyland Resorts offer a nighttime series featuring themed food, specialty entertainment and more. Take Advantage After 9pm (When the Parks Stays Open Late). The park empties a great deal at 9pm, especially with those with little ones. it’s also around the time the night shows (e.g. Laser shows) begin. This is the time to hit the popular rides! Disneyland opened on July 17, 1955, and cost $3.50 to get in. Eleven-year-old George Lucas was at the park on opening day. There were 18 attractions on opening day and fourteen of those attractions are still running today. Disneyland does not sell gum on purpose to keep the grounds clean. They also don’t sell shelled peanuts. There’s is a basketball court inside the Matterhorn. Employees go shoot hoops on their breaks. And the abominable snowman in the Matterhorn is named Harold. There is a fake pet cemetery hidden behind the Haunted Mansion. Mr. Toad has a gravestone in the area. There’s a secret apartment hidden in Disneyland’s fire station. The light in the window is supposed to symbolize Walt’s presence. Real human skeletons were used as props when Pirates of the Caribbean first opened. Today there is only one human skull left in the ride – the one attached to the headboard. The ghost host voice in the Haunted Mansion is the same voice that sang “You’re a Mean One, Mr. Grinch.” His name is Thurl Ravenscroft. 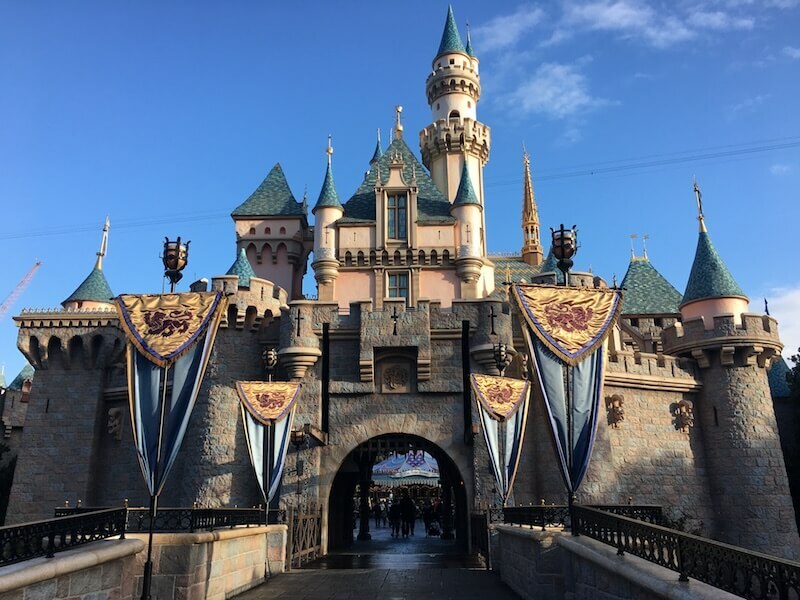 The drawbridge on Sleeping Beauty’s Castle is real and can be raised or lowered. While in line at the Peter Pan Flight ride, turn around and look up into the window of the Castle behind. Snow White’s Evil Stepmother appears, looking out her window, every few minutes. When you wait in line for Star Tours, an overhead speaker will page Egroeg Sacul, which is George Lucas spelled backward.